Figure. 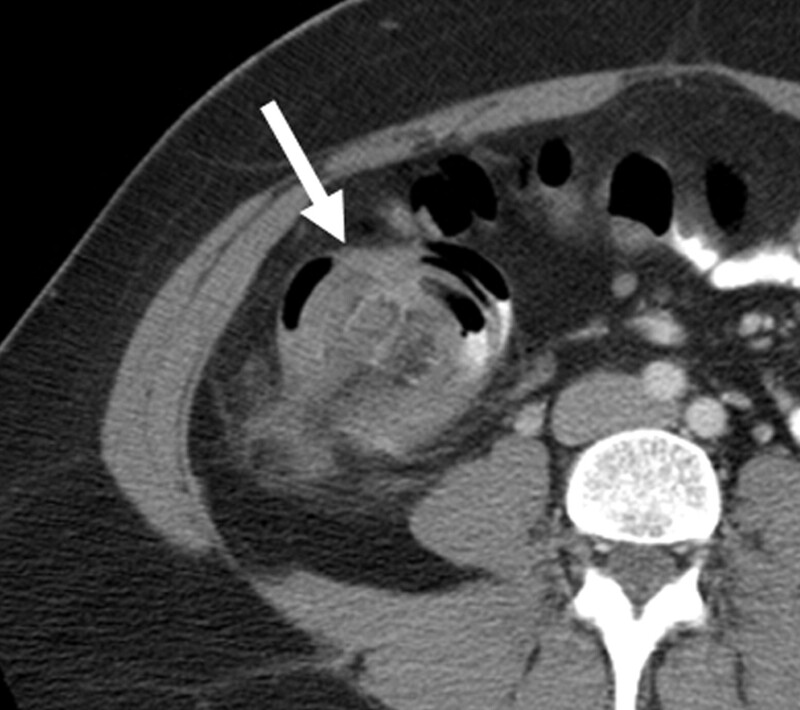 Axial contrast-enhanced CT scan of the abdomen of a 31-year-old woman. 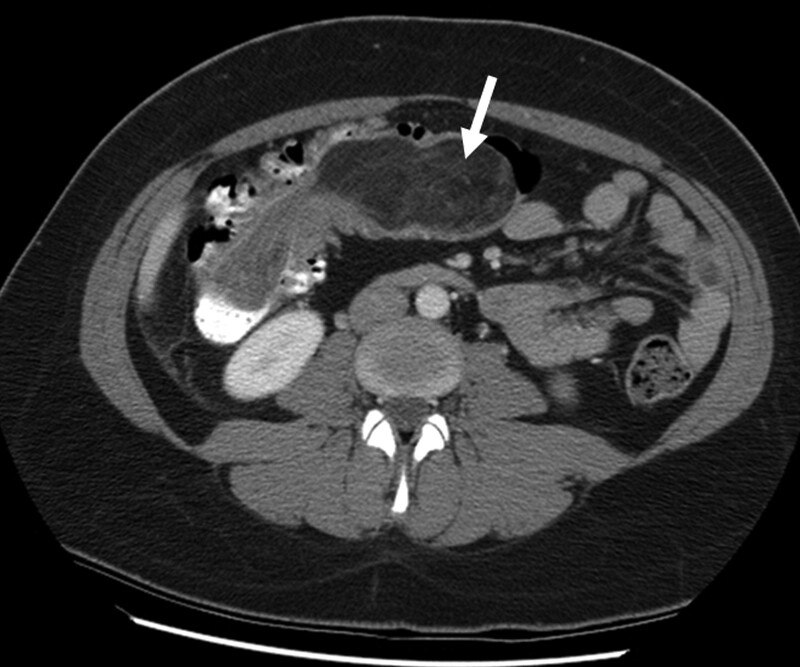 At the time, she had experienced “crampy” right-sided abdominal pain and vomiting for 5 days. Depending on its orientation relative to the image plane, this type of intestinal process appears as a sausage-like (Fig. 1) or target-like mass (Fig. 2). The lead-point lesion in this case was found at pathology to be an intraluminal lipoma. Fig. 2: No caption available. Lipoma is a benign large-bowel tumour, the second most common after colonic adenoma. Autopsy series have reported incidences of lipoma of up to 5.8% (Radiol Clin North Am 2003;41:1137-51).